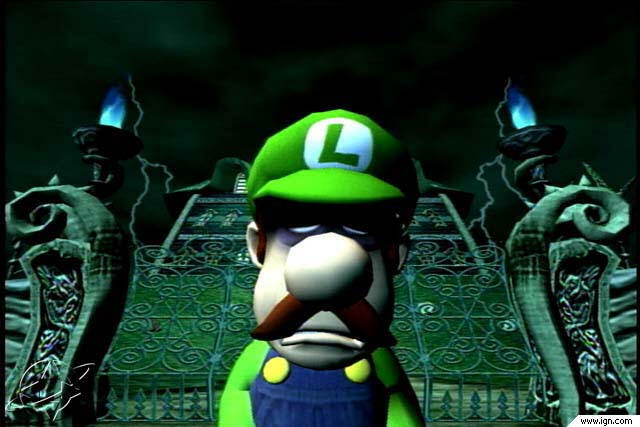 Luigi looking depressed. Most likely a game-over screen from running out of time. 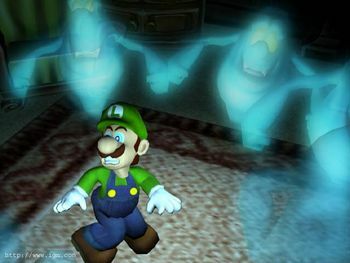 Luigi's Mansion was a launch title for the Nintendo GameCube, both developed and published by Nintendo. It was a spin-off from the Mario franchise, featuring Mario's brother, Luigi, as the main character. After winning a mansion from a contest that he did not enter, he enters the mansion to find that is full of ghosts, and that Mario had gone missing. The game was released on September 14th, 2001 in Japan, November 18th, 2001 in North America, and May 3rd, 2002 in Europe. The final game received generally positive reviews, and would later inspire a series of games following after this installment. 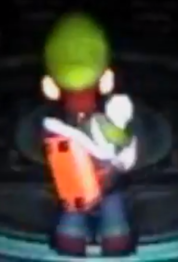 The Poultergust 3000 that Luigi uses to vacuum up ghosts featured a different, more rectangular, appearance in the tech demo. The Gameboy Horror in the bottom right corner of the screen has a timer in the tech demo, rather than the totals of collected money items in the full release of the game. The mansion's layout is much different. Several doors are boarded shut, most likely due to the fact that the game was still a work in progress. Some doors are also placed differently than in the final game, and some rooms have different furniture, or furniture arrangement. Several ghosts either did not make it to the final game, or were changed in minor ways. One ghost that did not make it into the final game, was the chef ghost that was supposed to be in the kitchen, however, it was likely removed due to game or hardware limitations, and never even made it into the tech demo. 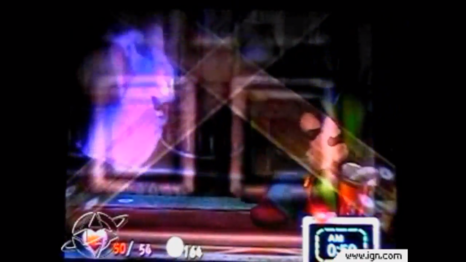 There were also ghosts called "Bashers" in the tech demo that would appear behind Luigi, and scare him, cutting his max health down to 50 temporarily. Lastly, many ghosts from the beta had their textures or colors changed. The disc that the game was on was very similar, the only difference being the position that Luigi was in. Aside from that, it's possible that the beta may be contained on some other discs. There is an overheat meter that slowly fills up while vacuuming, similar in appearance to the element meter in the final version. If this meter fills up all of the way, Luigi will immediately stop vacuuming, and fall over. Coins were the only currency shown in the demo, and they also had a different appearance. They were blank, were upright, and rotated. There was also another demo made at E3 2001 that was mostly similar to the finished game, but it also limited the amount of time that could be played on the demo. In the final game, a spinning coin can be seen below each room, including E. Gadd's lab. Although they do not have the same texture as the beta coins, they have the same spinning animation. The fact that these coins spin is an oddity, and their exact use is unknown, though they are thought be be a pooling object, or the coin counter coin from the beta. As of the time of this writing, none of the two demos shown off at E3 have been leaked or have resurfaced to the public, and all that has surfaced from them are trailers for the demos at E3 and Space World and screenshots taken from both events. The clock featured on the Gameboy Horror in the tech demo. 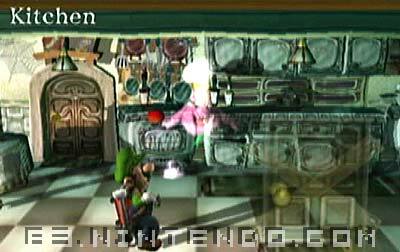 The chef ghost that was planned to be added into Luigi's Mansion. It is holding a tomato. Scrapped basher ghost scaring Luigi. 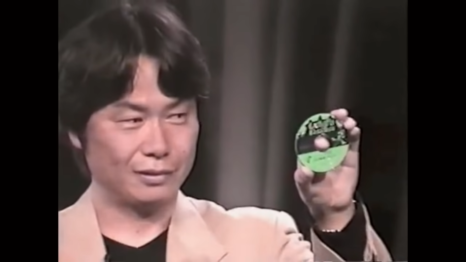 Shigeru Miyamoto holding the beta Luigi's Mansion Disc. The disc's appearance is similar to the released version, except that Luigi is in a different pose. The overheat meter from the beta version of Luigi's Mansion, almost filled. 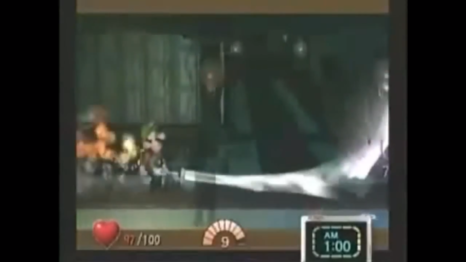 The overheat meter from the beta version of Luigi's Mansion, completely filled. 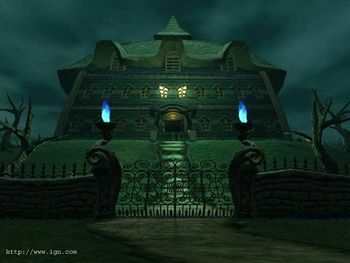 The beta mansion from Luigi's Mansion. 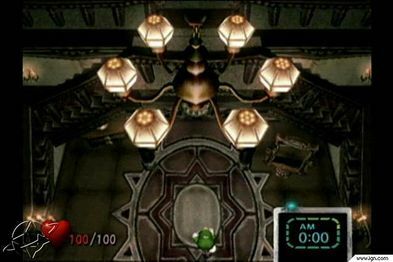 A screenshot of the Nursery of Luigi's Mansion, possibly beta prototype. Beta render for Luigi's Mansion. Beta camera angle for the starting room for Luigi's Mansion. 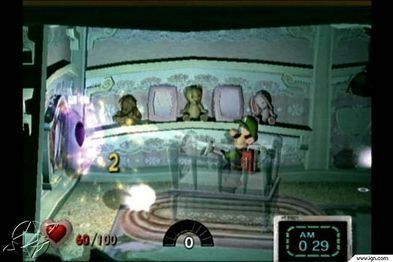 The Luigi's Mansion tech demo from the 2000 Nintendo Space World. 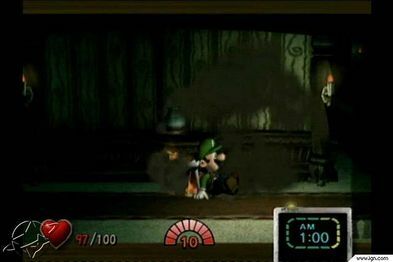 Luigi's Mansion E3 2001 Demo Footage. The trailer shown at E3. The first Luigi's Mansion trailer, from Korea.